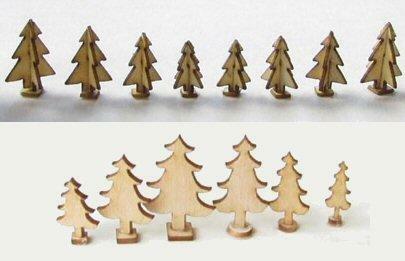 Choose from 2 different wooden laser cut tree kits. One kit has 12 x flat trees and the other is to make 8 x 3D trees. These are accessory kits for the 1/48th scale market stall kit but, of course, can be used for any project you wish.